Lips, lashes and skin have never had it so good! FusionBeauty is a top quality cosmetics line made with every woman in mind – no matter your age. The philosophy behind FusionBeauty is simple…the creation of products to enhance the natural beauty and femininity in all women, that produce real results, not just a quick fix. I love products that are good for my skin and not just a band-aid that merely cover up problem areas and imperfections. A great way to experience this collection, if you haven’t tried it before, is with the FusionBeauty Fusion Elites. It is a starter set with all the essentials for a beautiful face. It includes LashFusion XL, IllumiFill, PrimeResults Anti-Wrinkle Primer and LipFusion XL. See what I’m saying? There’s a little of everything (and more bang for your buck). 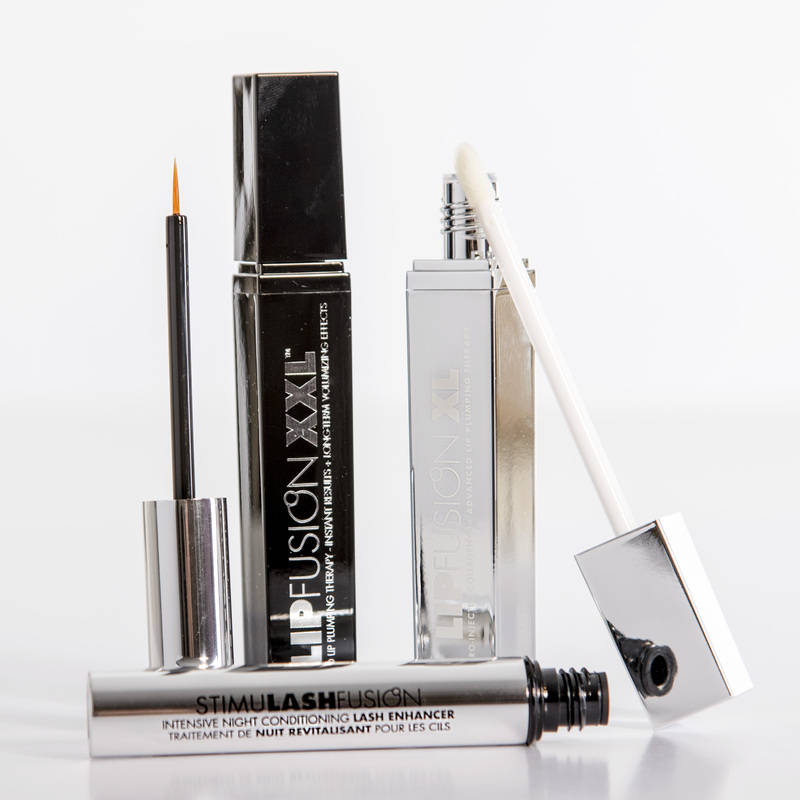 The LashFushion XL is a lash volumizer. It has a patented technology that thickens, strengthens and conditions lashes. And, it works instantly, even after washing you’ll notice its effects. IllumiFill is a line filling luminizer. Think less pronounced fine lines and a renewed brightness thanks to plumping properties and light-diffusing particles. PrimeResults is probably my favorite. This anti-wrinkle primer lifts and tightens the skin, improves texture and practically erases fine lines and wrinkles. Last but not least is LipFusion XL Micro-Injected Collagen Lip Plumping Therapy. It is genius really – it is like getting a collagen injection but without the needle. There are lots of other products in the line from plump and shine lipstick to eyeliner, mascara and bronzer. Defy your age, whatever it may be, with a little help from FusionBeauty. And, as always, let me know what you think or which item delivers awesome results or the best lip color. This entry was posted in anti-aging skincare, eyelash volumizer, lip plumpers and tagged anti-aging, eyelashes, lips. Bookmark the permalink.